London Bus Museum is run by a charitable trust with the triple objectives of conservation, education and participation. 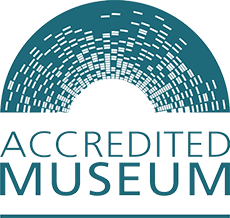 Corporate Membership provides a means for organisations to become partners of the Museum, receiving a wide range of benefits and opportunities while providing significant support for the Museum and its objectives. The income from our Corporate Members is a vital source of funding and makes a significant contribution to our financial viability. The charitable trust which runs London Bus Museum, as custodian of this very important and comprehensive collection of historic London buses, is now fully enabled to make the collection available to the public and enthusiasts alike, to inform and educate about London’s road transport heritage, to provide a secure home for further important acquisitions and to maintain as many as possible of these heritage buses in road-going condition with regular opportunities to experience them in action. The Museum has some remarkable restoration achievements under its belt – work which it firmly intends to continue – and has now expanded its mission to bring this important heritage to new audiences with a longer-term objective to become one of the UK’s benchmark transport museums. It will face many challenges ahead, not the least of which is a funding gap, and now seeks to build partnerships with organisations which support its objectives. The Corporate Membership scheme is an opportunity to partner the Museum, taking advantage of the business benefits available while making a major financial contribution towards the Museum’s objectives and to ensuring its future. Corporate Membership also enables companies to identify themselves and their employees & customers with an important part of London’s transport heritage. We are very pleased to be able to invite your company to partner us as a Corporate Member. To see the detailed benefits of the two, click Corporate Membership packages, and click for the application form, or click to make an enquiry about our Corporate Membership. We look forward to welcoming your company as a Corporate Member and to working with yourselves on this important project to conserve London’s bus heritage.